Full width silver dishwasher. 13 place settiings. A+ energy rating. A/A rated performance. Delay timer. 6 temperatures. 10 programs. One touch. 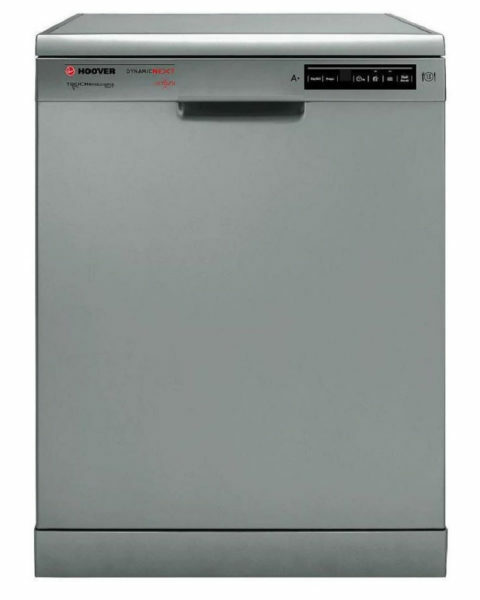 A good looking dishwasher with modern styling in stainless steel / silver finish. Fabulously modern, it will look just grand in your kitchen! 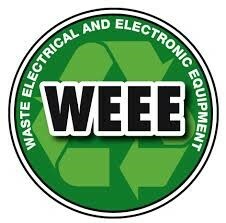 and it comes from a manufacturer with an excellent reputation for reliability as well as innovation. The dishwasher has the capacity to cope with an average or bigger household’s washing up needs. The baskets are adjustable for a variety of plates, glasses or pans and there is an exceptional choice of programs and temperature settings. This choice means that you can always get the right wash – whether its to avoid wasting heat and water on delicate items you dont want to overtax, or to ensure you get a thorough clean of well-used pans that need a little extra time and intensity. Despite the choice of settings, the appliance also provides a simple one-touch start for your regular washes. That way you don’t have to be baffled by settings when you don’t need to. However it takes “One Touch” control even further by providing access to your dishwasher possible usinig your Android smartphone – using an app that you can download from Hoover’s website. The delay start timer means you don’t need to be distracted by the noise of the dishwasher operating immediately after dinner when you’re trying to relax. This is especially useful when you have a kitchen-diner, although the dishwasher’s noise is fairly moderate, at just 51dB maximum. 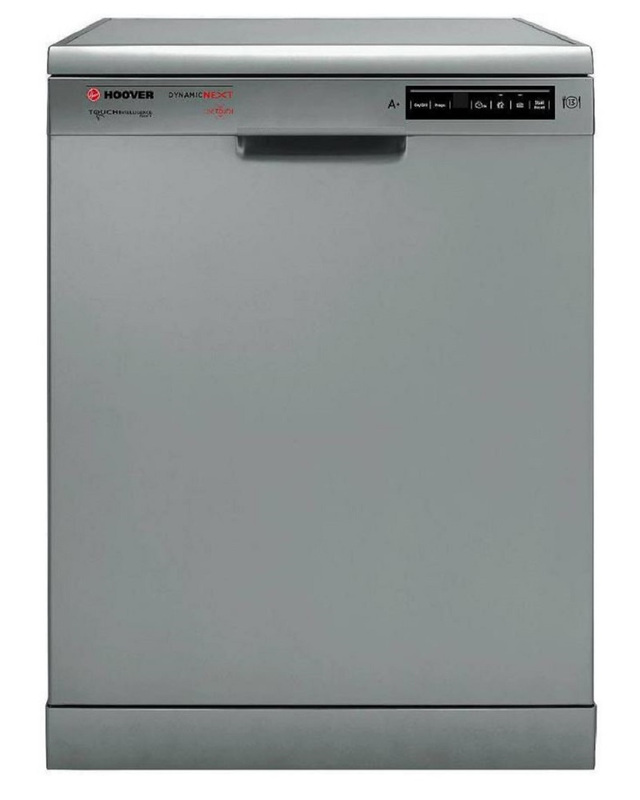 This modern stainless steel dishwasher will slip easily into a standard kitchen appliance space, and simply look great!